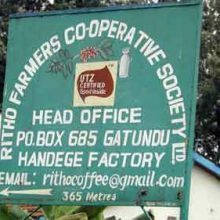 This AB lot was produced by numerous smallholder farmers, all of whom are members of the Ritho Farmers Cooperative Society (FCS) delivering to Handege Coffee Factory (as washing stations/wet mills are called in Kenya). 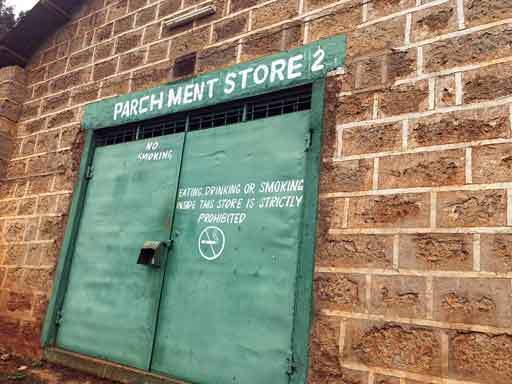 The factory is located around 5 km from Gatundu town, in Kenya’s Kiambu County. The name “Handege” is derived from Ndege, the Swahili word for aeroplane or bird. We aren’t quite sure why that connection has been made, but it is certainly appropriate, as we expect this delicious coffee to FLY out of our warehouse. 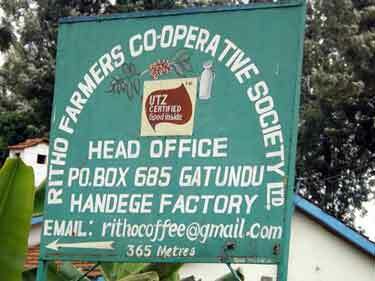 Ritho FCS operates two washing stations: Handege and Wamuguma. Handege factory was constructed in the mid-sixties and started its operations in the late 1967, while Wamuguma was constructed in early seventies and started its operations in December 1972. The FCS itself is a bit younger as rose from the ashes of the now defunct Gatundu coffee growers in the year 1995. The administration had much experience from its previous iteration, of course, and brought those strengths to the table. Today, the two washing stations serve over 1,000 members (just over half deliver to Handege, which also serves as the FCS headquarters). The washing stations are close, as the ‘Ndege’ flies. They are no more than 5 km apart, but due to road layout in the area, travel from one to the other takes around 30-45 minutes. Their locations enable them to serve a wider swathe of the surrounding community. Part of the success of Ritho can be attributed to the good management of the group. 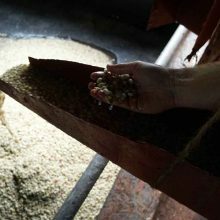 In 2010, confronting low coffee prices and other challenges, the group developed a strategic plan with the primary aim of increasing coffee quality (not necessarily quantity, as is so often the focus in these situations). Focus was also put on agricultural and organisational management and infrastructure. Today the results of these efforts can be seen in the exceptional cup quality of their coffee. Processing at the Handege wet mill adheres to stringent quality-driven methods as a result of these earlier efforts. 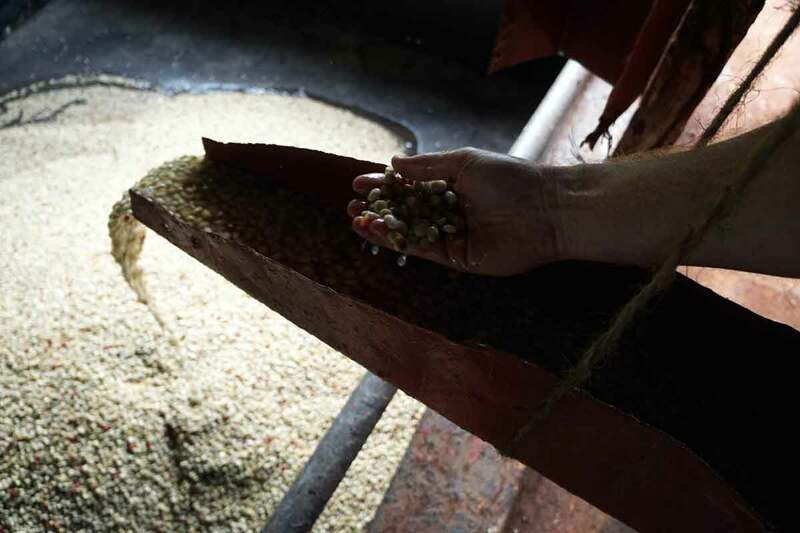 All coffee cherries are handpicked and are delivered to the mill the same day, where they undergo meticulous sorting. Factory employees oversee the process and any underripe or damaged cherries will not be accepted by the ‘Cherry Clerk’ – one of the most important harvest-period staff, who keeps meticulous records of how much coffee each producer delivers on any given day (and thus how much payment is due once the coffee has sold). 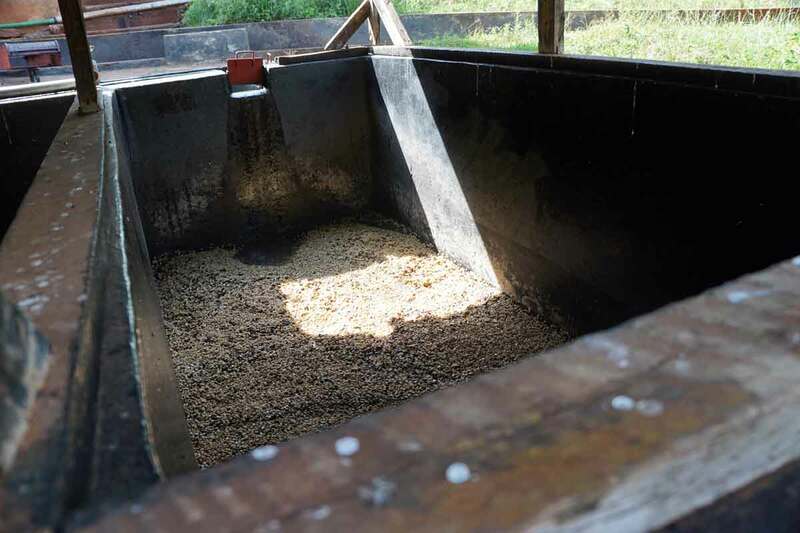 Any rejected coffee will have to be taken home again, and the farmer will need to find a place to dry it (often a tarp in the yard) to be delivered only at the end of season as low quality ‘Mbuni’ – natural process coffee that earns a very low price. Thus, farmer members are incentivised to only pick and deliver the ripest cherry that they can. 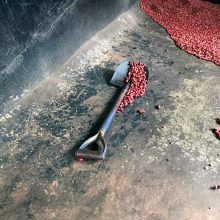 After being weighed and logged, the weight of the delivery and the farmer’s identification are recorded in the Cherry Clerk’s register and the cherries are introduced into the hopper to be pulped. Pulping will only begin when a sufficient quantity of cherries has been received. The factory uses clean water pumped directly from the Thiririka River for pulping and washing. After pulping the cherries are delivered to one of the factory’s fermentation tanks, where it will ferment for between 24 and 36 hours depending on the ambient temperature at the time. 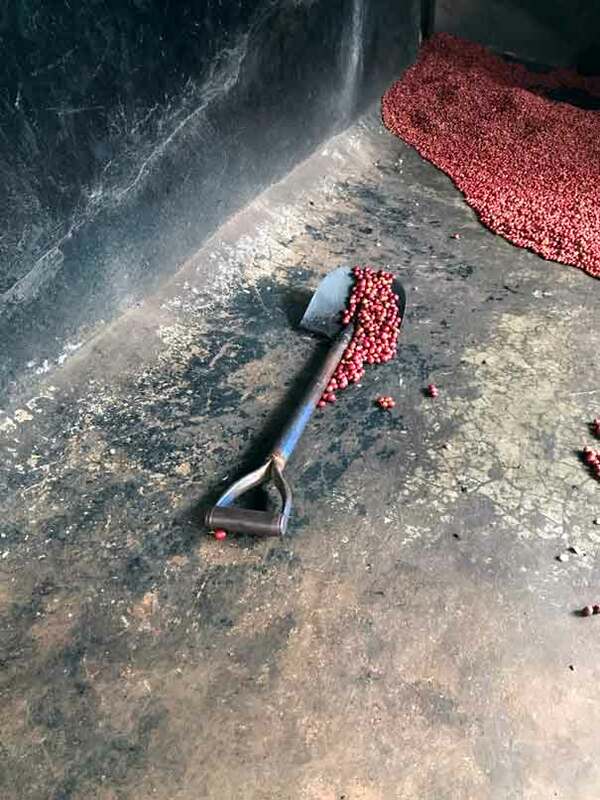 Handege factory has fairly good drying infrastructure, but sometimes at the peak of the season they must soak coffee after fermentation & washing. Because most of the producers delivering to the washing station live within a 5 km radius, all their coffee tends to flower and ripen on the same schedule, which creates challenges if volume is particularly high. 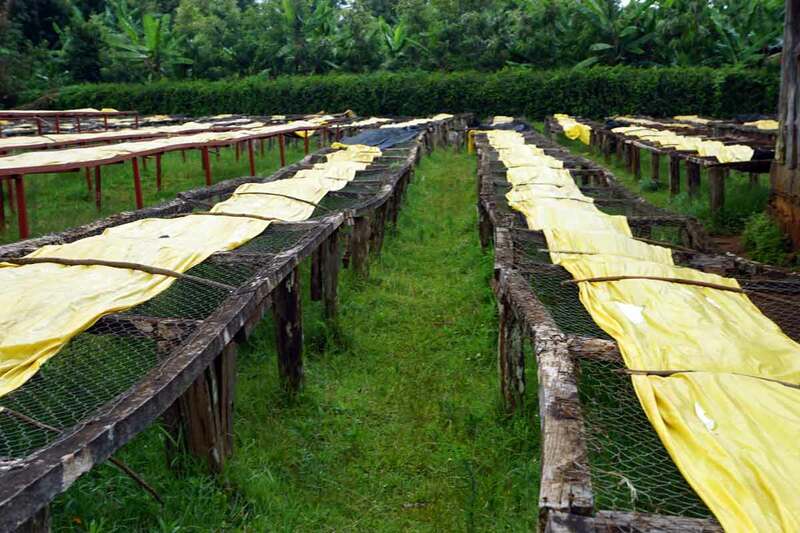 Drying tables are expensive and laborious to construct, and often there simply isn’t enough space to erect them. 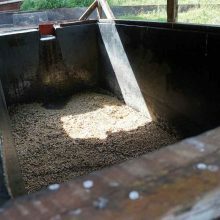 The soaking method creates a ‘holding pen’ for parchment when there is not enough room on the drying beds for the quantity of coffee coming in. Some say it also has a beneficial impact on quality. 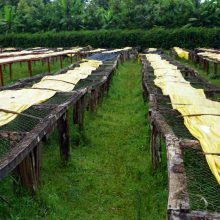 After washing (or soaking), the coffee will be pre-dried on ‘skin tables’ (with larger holes) and then be delivered to dry on the factory’s raised drying beds, where it will dry slowly over the course of around a week, during which time it will be turned regularly. It is covered during the hottest part of the day and also at night to ensure even and slow driving. 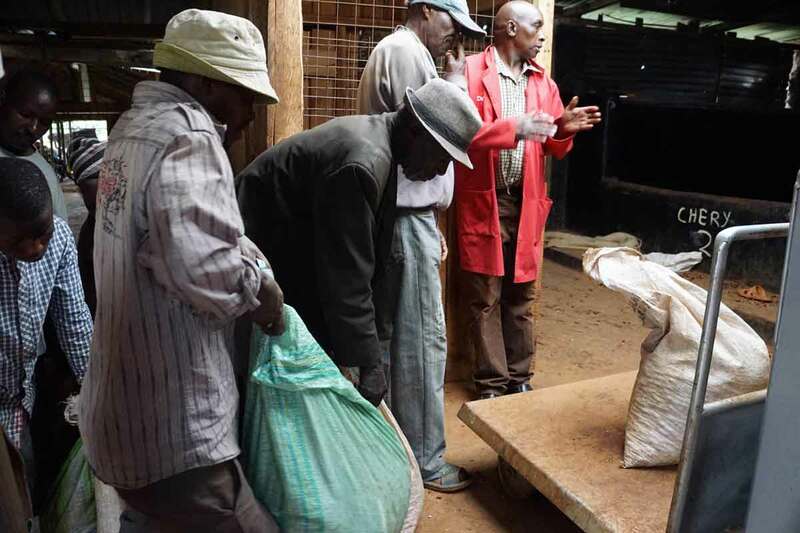 Kiambu, being very close to Nairobi, has a long history with regards to coffee production. However, recent history and urbanisation pose many issues for the future of coffee production in the region. 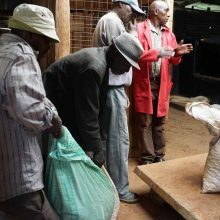 Some of the issues are the same that farmers across the country face, such as low production due to pests and diseases and the relatively high cost of inputs compared to income from coffee. Many cannot afford to plant disease resistant varieties and face being priced out of the market as their yields diminish. The most pressing threat is arguably that of urbanisation and industrialisation. 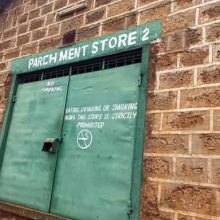 Kiambu County abuts directly up to the northern boundaries of Nairobi, encompassing wealthy suburbs and industrial areas alike in its southern edges. As the expansion of the Thika Superhighway and other infrastructure projects advance, it becomes easier and easier to set up businesses (and homes) on the outskirts of Nairobi, more deeply penetrating Kiambu’s borders. The highway construction has already led to an explosion of the real estate market with several big projects under development, such as Tatu City, Thika Greens and Buffalo Hills complexes. Other modern housing developments include Bahati Ridges, Fourways Junction and Juja South schemes. Such urban expansion has already eaten away at many of Kenya’s larger coffee plantations: many of the oldest and largest are now housing developments. 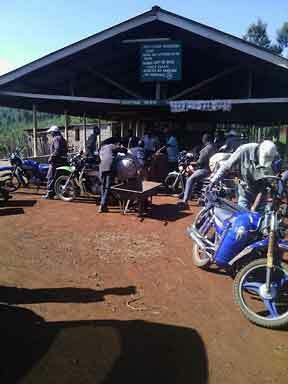 The impact on small holder farmers – who currently live farther from the city’s bounds – remains to be seen. 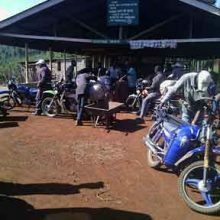 Partible inheritance, where property is apportioned among heirs, has caused landholdings to diminish over time, and with only 200 trees or fewer, many young people just don’t see the viability of coffee production. 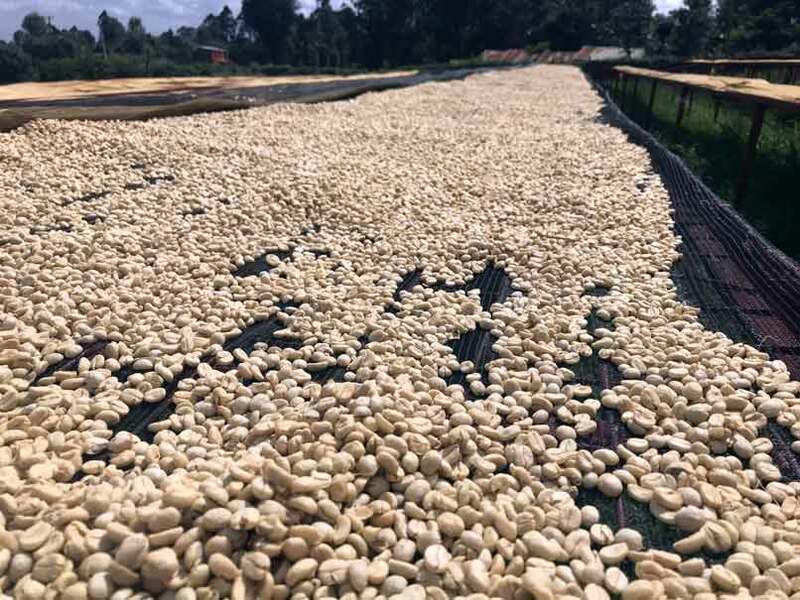 One thing is sure: continued investment in quality coffee such as this lot is one of the sure actions that will continue to give coffee in the region a ‘leg up’, hopefully preserving coffee in the area for many generations to come. The AA, AB and other grades used to classify lots in Kenya are an indication of screen size only. They are not any indication of cup quality. The AA grade in Kenya is equivalent to screen size 17 or 18 (17/64 or 18/64 of an inch) used at other origins. AA grades often command higher prices at auction though this grade is no indication of cup quality and an AB lot from a better farm or factory may cup better. 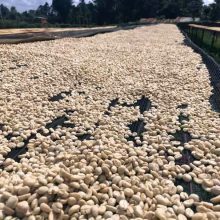 PB denotes ‘peaberry.’ Most coffee cherries contain two seeds that develop with flattened facing sides (the familiar ‘coffee bean’), but sometimes only one of the two seeds is fertilized, and the single seed develops with nothing to flatten it. This oval (or pea-shaped) bean is known as peaberry. Typically around 5% of all coffee beans harvested have experienced this peculiarity.